Even the most dedicated tinkerers out there can find themselves getting overwhelmed as gadgets get more complex. A company called littleBits wants to be sure that future generations never lose the love of creating all things electronic. They’ve been around for a while, selling tiny circuit boards with specific functions that snap together with magnets. This LEGO-like approach to electronics lets anyone at all build their own custom electronic devices. 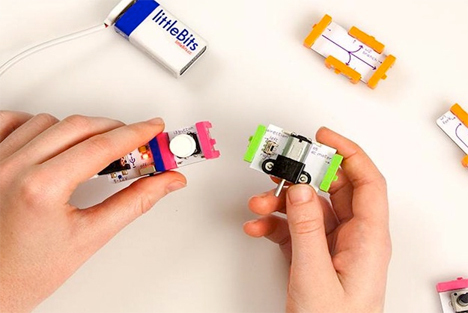 Now, littleBits is introducing a new snap-on device called Cloud Module. Like the other littleBits pieces, this one attaches easily to any of your home-brewed electronics projects – no soldering or programming. But this one has a slightly more advanced function: it makes your device internet-enabled. The Cloud Module lets your creations join the Internet of Things, a term used to describe everyday items that are connected to the web and to each other. The video above shows Reggie Watts playing music on a synth made entirely of littleBits components. 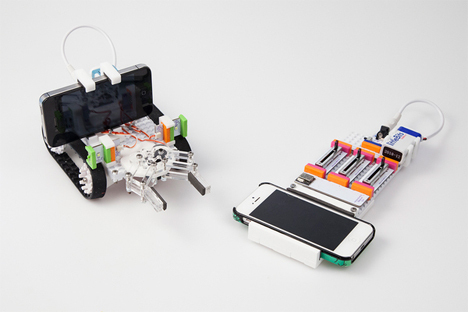 This is the type of project that littleBits wants to inspire. People who are interested in electronics but don’t have the experience or confidence to go about creating things in the traditional way can use this handy system to become tech wizards, perhaps even inventing the next must-have gadget. The Cloud Module is still in beta at the moment, but when it becomes publicly available it will let home-based gadgeteers create things on a whole new level.